Your expertise in the medical field knows no bounds so why not show it off with the Medical Supplies Tie from Wild Ties. 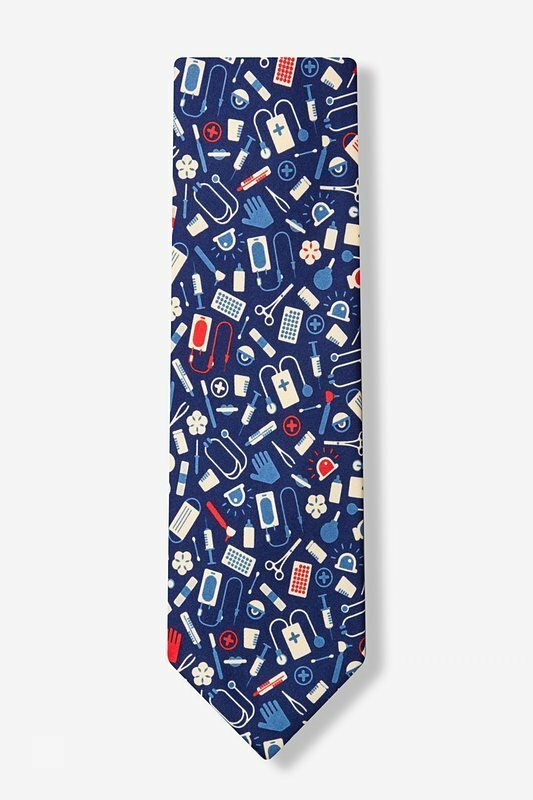 Show your patients the tools of the trade with this fun loving tie featuring a jumble of the most essential medical supplies in white, red and navy blue on a navy blue background. Made of sturdy microfiber, this tie is sure to keep you looking cool even when you're breaking a sweat.